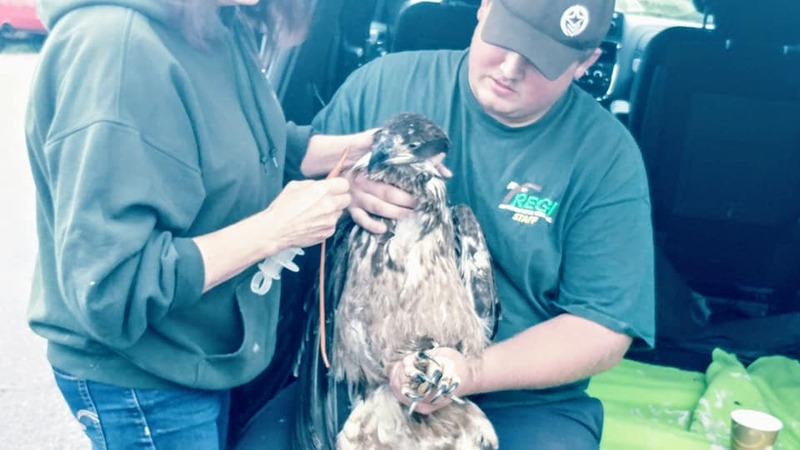 Young Bald Eagle Rescued — Raptor Education Group, Inc.
A young Bald Eagle found on roadside last night and rescued. Transported from Black River Falls via high school teacher Brad Myers and the students of the Black River Falls High School Nexus program. The eagle has evidence of avian pox that has affected her vision. We just now met the transporters in Marathon City, were able to examine the eagle and tube feed her before starting on the trip back to REGI. Enroute 10:58 a.m. Wednesday morning. 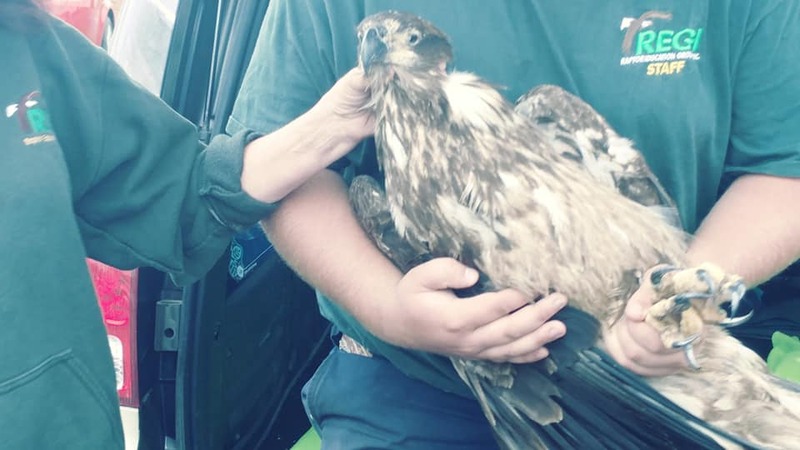 Hunter Petroskey and I intercepted the transporters in Marathon City, WI to begin life saving treatment for this young emaciated eagle in the back of the van in a parking lot. Tube feeding to give nutrition and warm fluid for the trip back to REGI. The young eagles eyes are affected as the pox, now healed put scabs on her eyelids which affecting her abilitiy to close her eyes. Ground-breaking for the New Clinic!